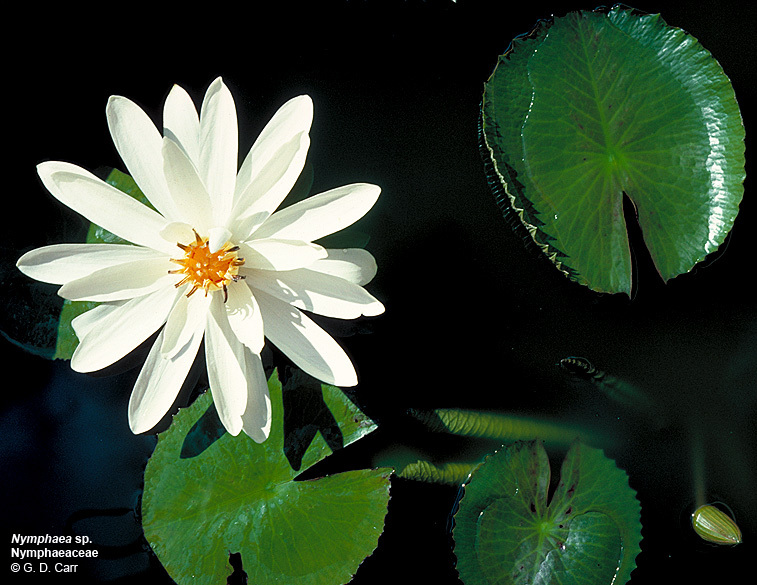 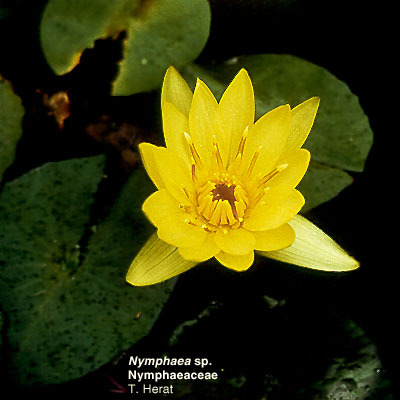 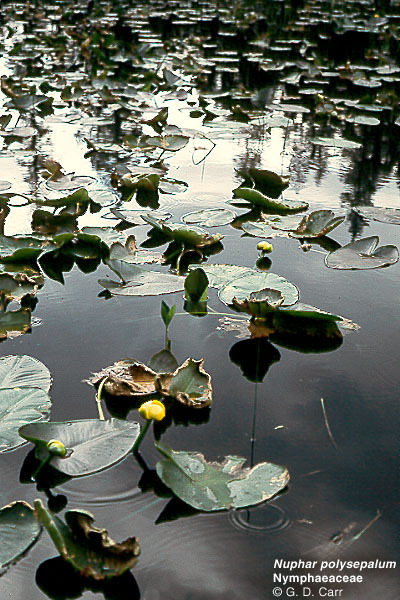 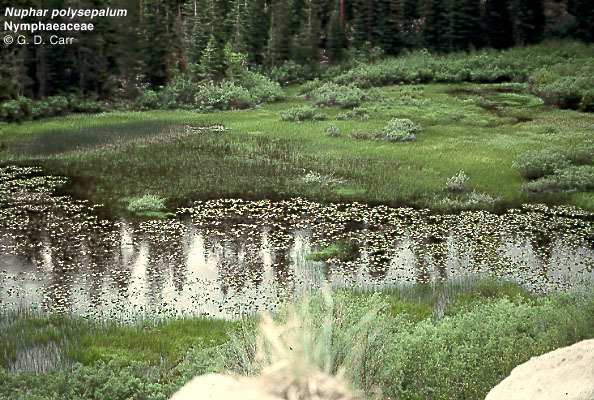 The Nymphaeaceae are aquatic, rhizomatous herbs comprising eight genera and 70 species. 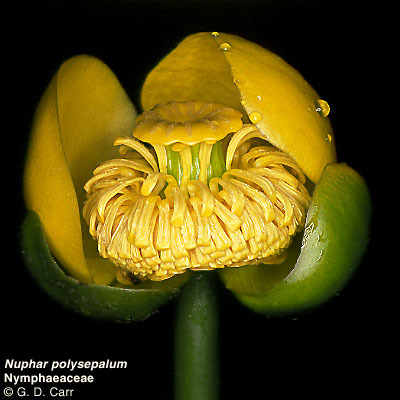 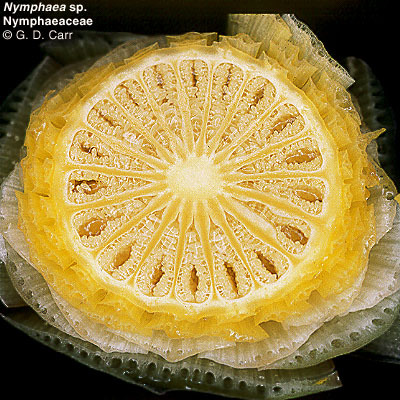 The family is further characterized by scattered vascular bundles in the stems, and frequent presence of latex. 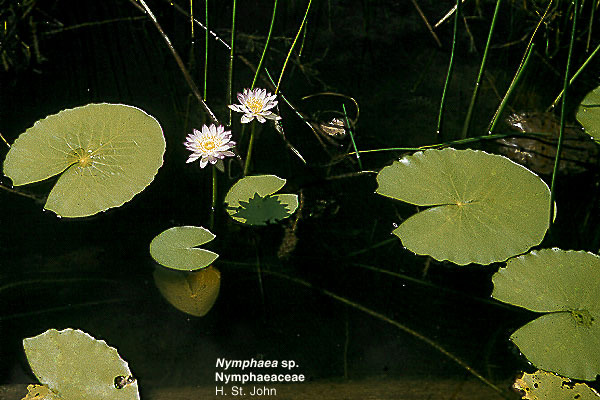 Leaves mostly alternate, simple, entire to dissected, submerged, floating, or emergent; stipules present or absent. 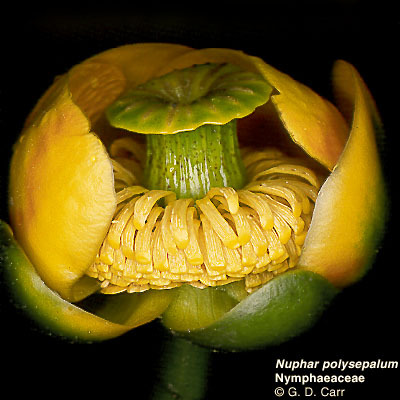 Flowers solitary, bisexual, actinomorphic, long-pedicellate, floating or emergent; perianth of 4-6-many, commonly poorly differentiated, distinct or connate, often petaloid segments, these often blending with staminodes. 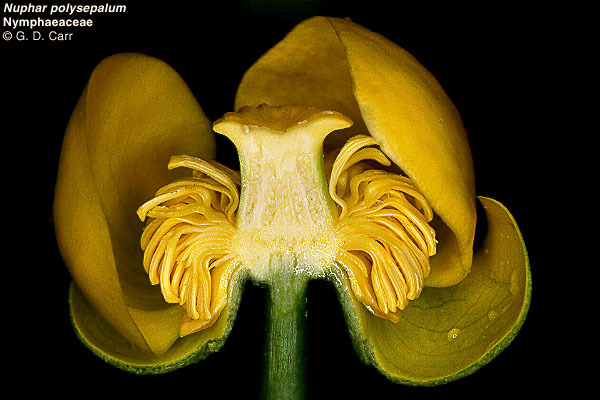 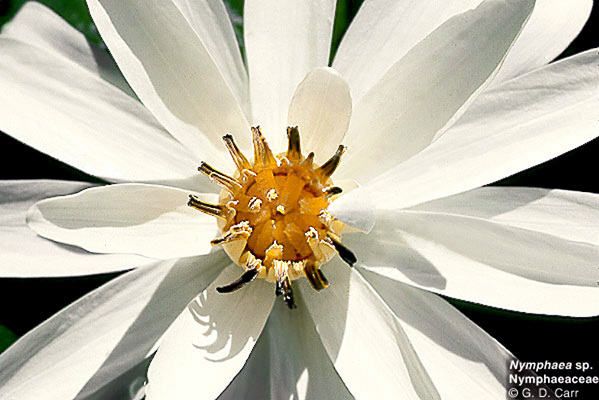 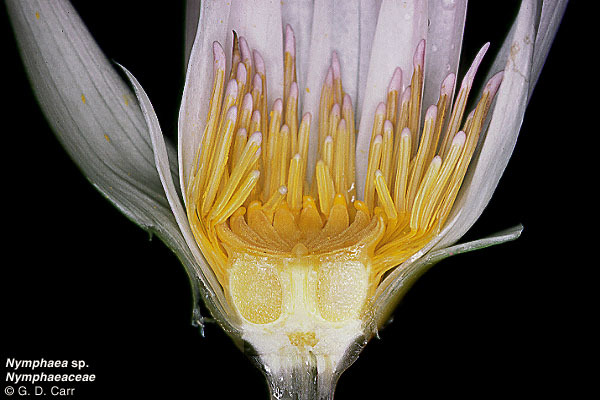 Androecium of 3-many, laminar to filamentous stamens and commonly numerous petaloid or reduced staminodes, including transitional forms. 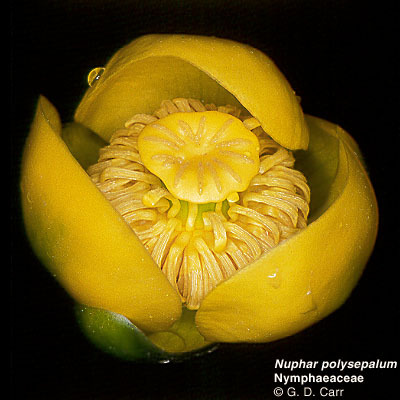 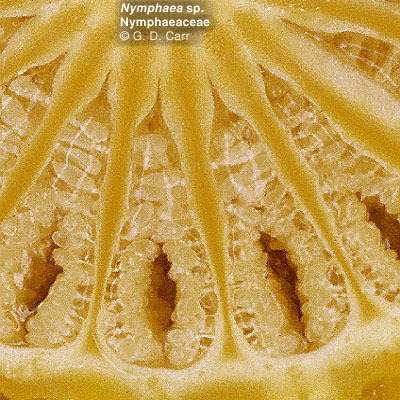 Gynoecium apocarpous or more often syncarpous, of 3-numerous carpels, syncarpous forms with as many locules as carpels and with an equal number of elongated, radiating stigmas; ovary superior to inferior; placentation parietal; ovules 1-numerous (commonly scattered on the partitions). 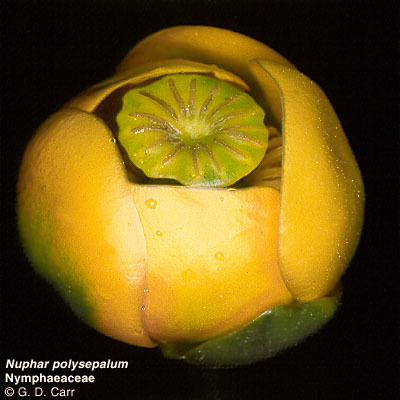 Fruit an aggregate of nuts, a berry, or an irregularly dehiscent fleshy capsule. 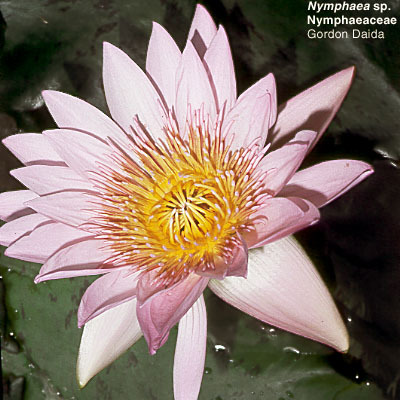 Seeds often arillate, more or less lacking endosperm but with abundant perisperm. 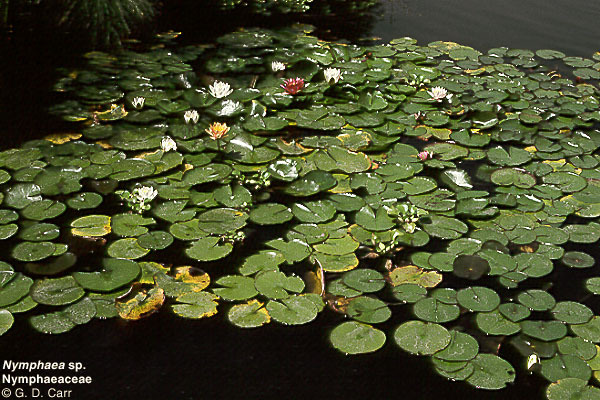 Victoria amazonica, water lily. 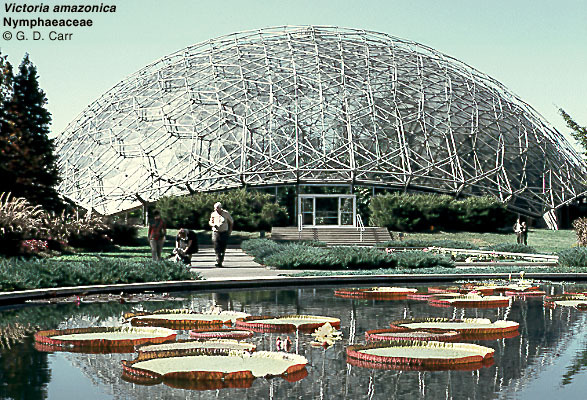 Missouri Botanical Garden, climatron in background. 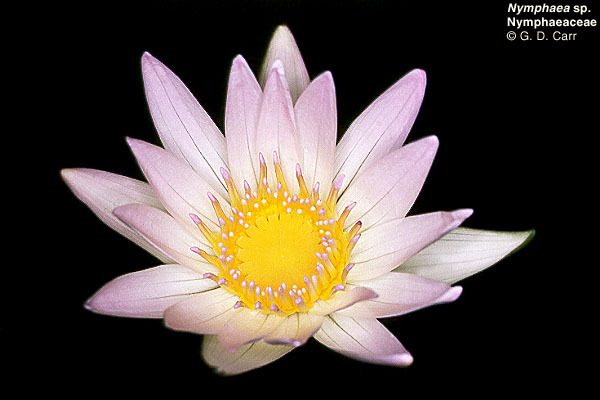 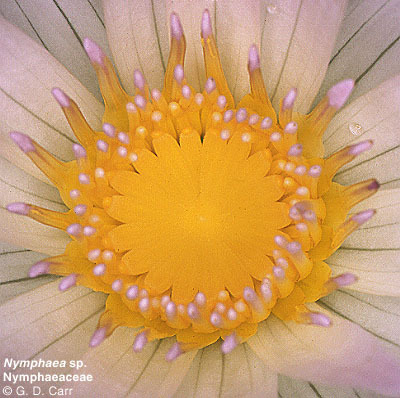 Nymphaea sp., water lily, note numerous locules, each with ovules spread over the septae. 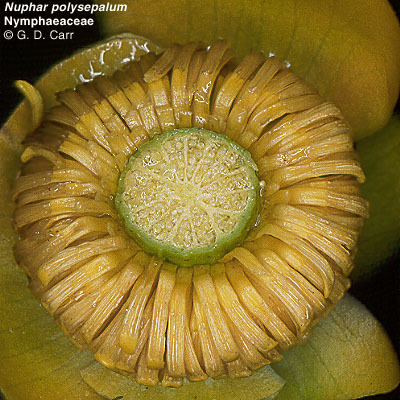 Nuphar polysepalum, near lake Tahoe, CA.